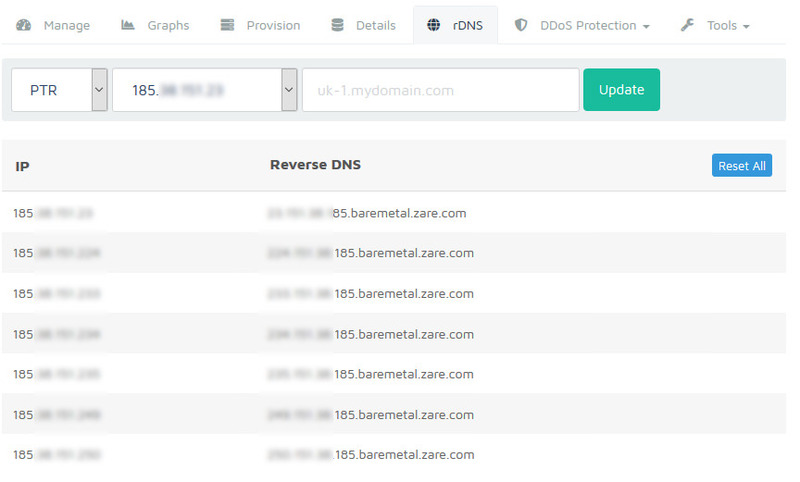 You will now be presented with all your available IP addresses, select the IP you wish to update from the second dropdown menu. Please be aware that PTR/DNS records can take up to 24 hours to be updated. If no change has been made after this time then please contact our support team. If you need to reset all of your addresses you can do so from the “Reset All” buton.